Here she is again, says you. Your one with the baby talking about make-up…. For the record I am not trying to be a beauty blogger, but blogging is in my bones and if I find a product that I like and feel passionate about then I am going to want to share it with you lovely people. I am considering starting a segment on the blog named “beauty for the baby mama“. I don’t pretend to be an expert on all things beauty and make-up related but naturally I get excited by anything that helps me look more awake after a sleepless night. I need make-up rituals that take no more than five minutes in the morning and that will transform me from sleep-deprived zombie to functioning adult. Would that be something that would interest you? I want to share with you products and principles that anyone can do. If I can do it, anyone can. Beauty for the everyday girl. No beauty qualifications here, none of your fancy stuff, but products and tips and tricks that work for me. Sure I’ll give it a bash. This is a product I just had to share with you all. It was originally recommended to me by Rosie Connolly from Hearts Heels And Handbags. She mentioned that she uses this eyebrow gel in shade Blonde. I really liked the colour of her eyebrows and as a blonde myself I felt it might be what I was looking for. In this post a few months ago I spoke about how eyebrows have become such a statement in recent years. When I was a teenager the trend was to have a teeny tiny slither of eyebrow, to pluck away nearly every piece of hair and basically leave a thin barely-there line. Oh how times have changed. These days it is all about the brows. They totally give your face more definition, make a massive difference to any make-up look and they basically transform you. The penny dropped for me a couple of months ago. 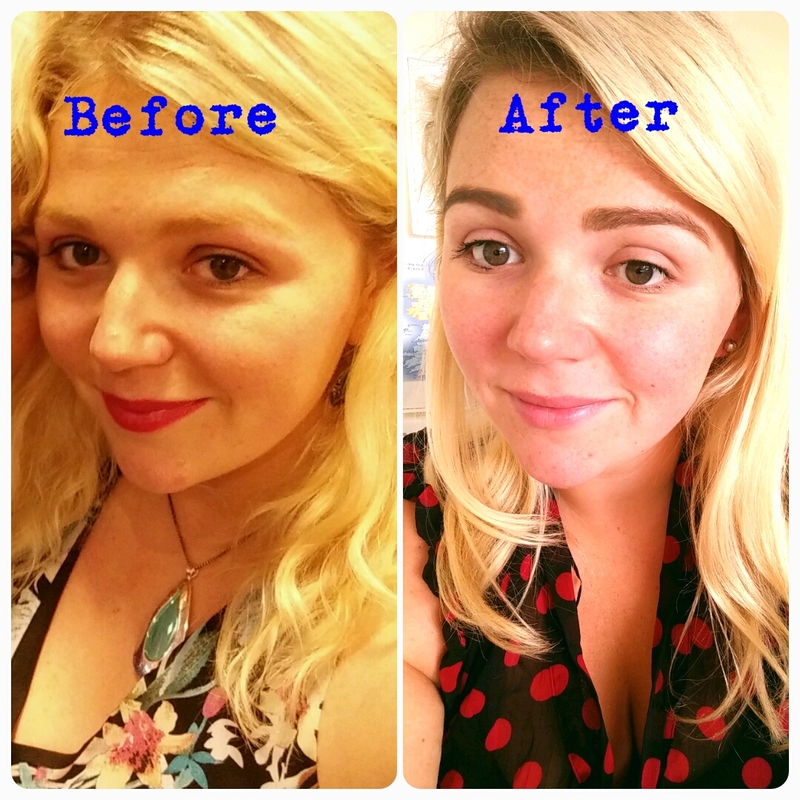 I tried a few eyebrow powders and couldn’t believe the difference that they made. Then I found this product. Following Rosie’s recommendation I took myself over to Beauty Bay and purchased the Anastasia Beverly Hills Dipbrow Pomade in shade Blonde. It cost €20 including delivery. I knew it would be an investment but Rosie had mentioned that it lasts for a really long time so I was happy to pay that amount. 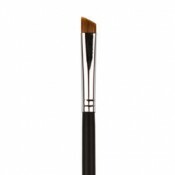 Make-up brushes are an entirely new thing for me altogether so I knew I would have to purchase the proper angled brush to apply the product. I ended up buying a packet of brushes off Groupon (an entirely different post) and it included that type of brush. It has worked a treat. The results speak for themselves I think. My eyebrows are pretty much invisible in the first photo. I now finally have brows. I recently had them shaped by the lovely ladies in Nails And Beauty By Jen. They did a fantastic job and applied some tint also. 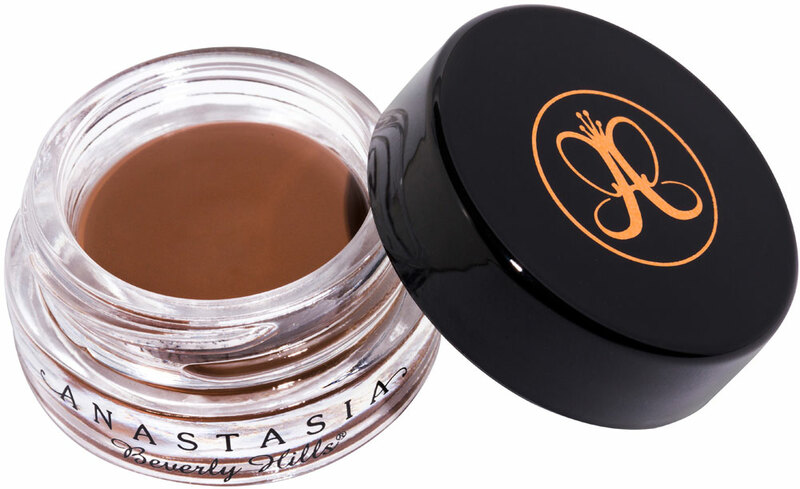 The Anastasia Dipbrow Pomade gave me a way to continue the effect that the tint gave. I highly recommend this product to anyone who is looking for something quick and easy to use but which gives great results. My mother has even asked for it as her Christmas present!